You can use a photo of yourself across the web, but if you want to have some fun and maintain a semblance of anonymity on the web, you can use a cartoony avatar instead. You could dig up your old Yahoo one, but chances are you've moved on. You're using a Bitmoji and creating comic strips about your friends. Then you move your hilarity over into Snapchat. You're sending texts, dropping images, recording clips, and maybe even making the occasional reference to your comics. Now you can go a step further. Don't drop a link. Add your Bitmoji directly. You can do that now. The latest update to the Snapchat app adds Bitmoji integration. You can add Bitmoji to chats and stick them on pictures. To make everything work, you first need to download the Bitmoji Android app and link it to Snapchat. And if your contact also has a Bitmoji, you can send Friendmoji. You can find links to both apps below. Bitmoji is your personal emoji. 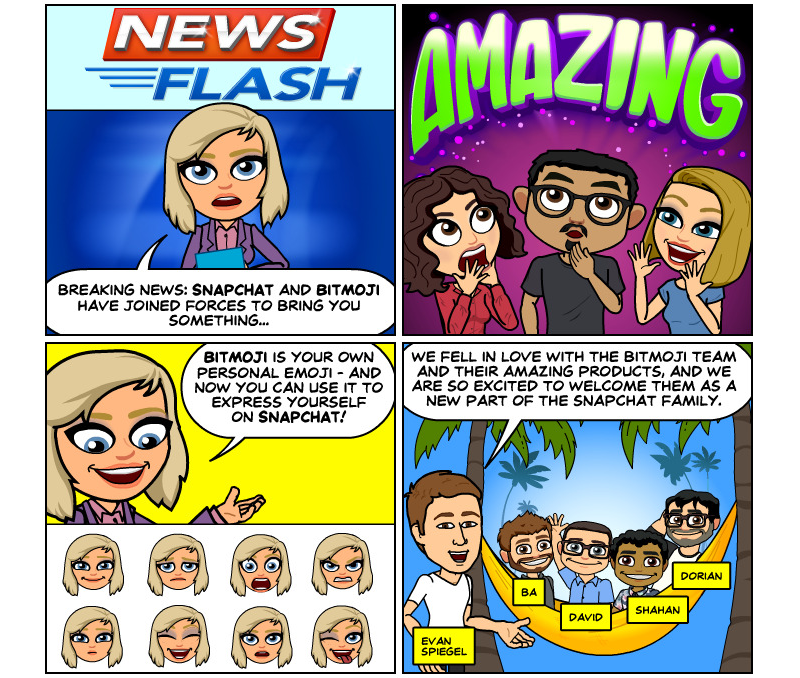 Download the Bitmoji app, create your Bitmoji, and then go to Snapchat Settings to link accounts. You can send Bitmojis in Chat or stick them on Snaps! If a friend has also linked their Bitmoji, you'll see special Friendmoji stickers when you Chat them or reply to their Snap. Enjoy! Press and hold on a Snapchatter’s name to send their username to a friend in Chat. Try the new Face Paint Lens — just draw on your face!